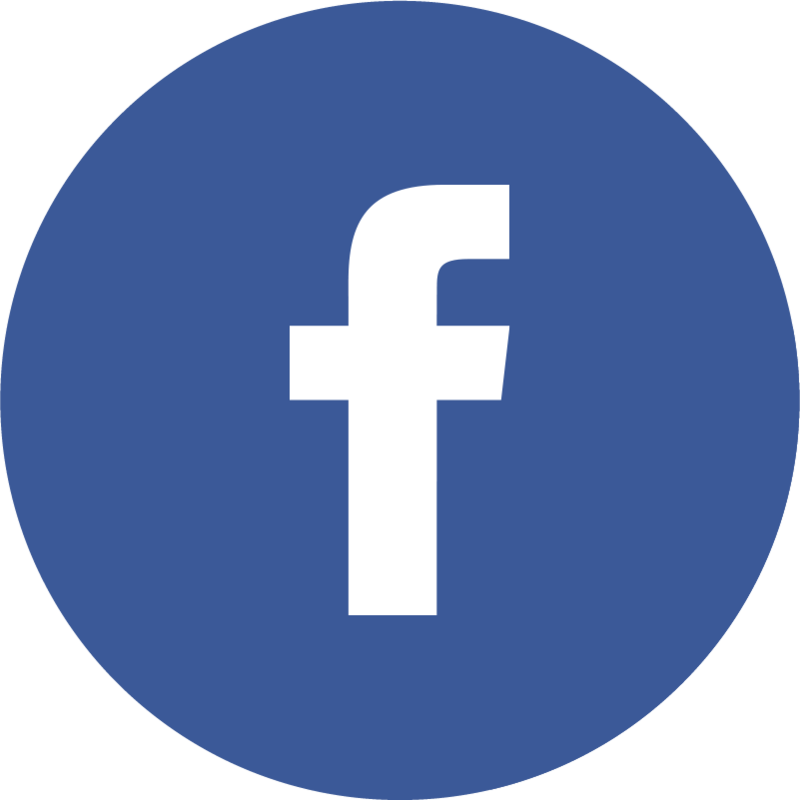 You are here: Home » News and Updates » Updates from Lebanon – Project SHINE/MUSIC! 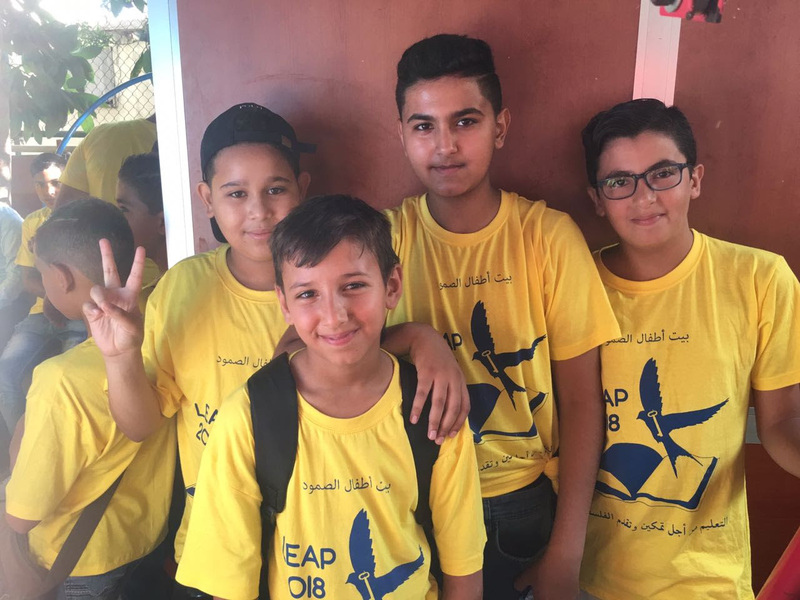 We want to express our sincere gratitude to our beloved community of donors who have supported us over the past 9 years to offer rigorous, dynamic, and much-needed educational projects to refugee-youth in Lebanon. Here is what your generous contributions have allowed us to implement. However, we are still fundraising an additional $3,000 to help finance the rest of Project SHINE and support our upcoming year-long Project ASPIRE & MUSIC. You can make a tax-deductible donation here. This week, students discussed identity and culture. Our beginner level students created visual representations of how their language, culture, family, and personality shapes their personal identity, while our advanced classes analyzed Palestinian identity through the works of the renowned poet, Mahmoud Darwish. Meanwhile, recreational activities are keeping busy. 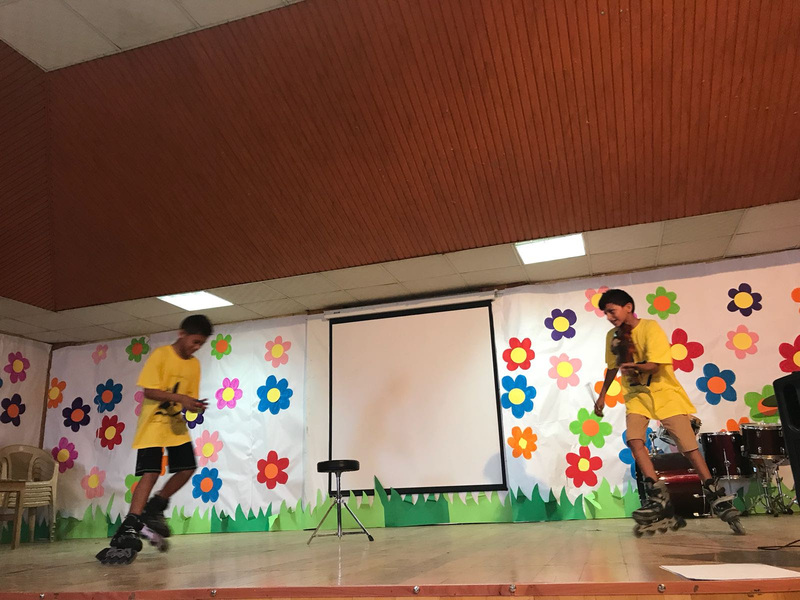 Our recreational activities offer students a fun and dynamic way to not only express themselves, but also integrate and apply English learning through other activities. From creating friendship bracelets, to training for a jiu-jitsu exhibition, to designing theatre sets, to compiling photography portfolios, there is no shortage of creativity and skill building! With our closing ceremony looming, students are preparing for their final performance at the end of project closing ceremony to share their accomplishments with their families and community. Roller skating, violin-playing, Rubik’s cube solving dynamic duo! With another week down, Project MUSIC is finding its rhythm! Our pilot group of over 100 students are making incredible progress along their musical journey. 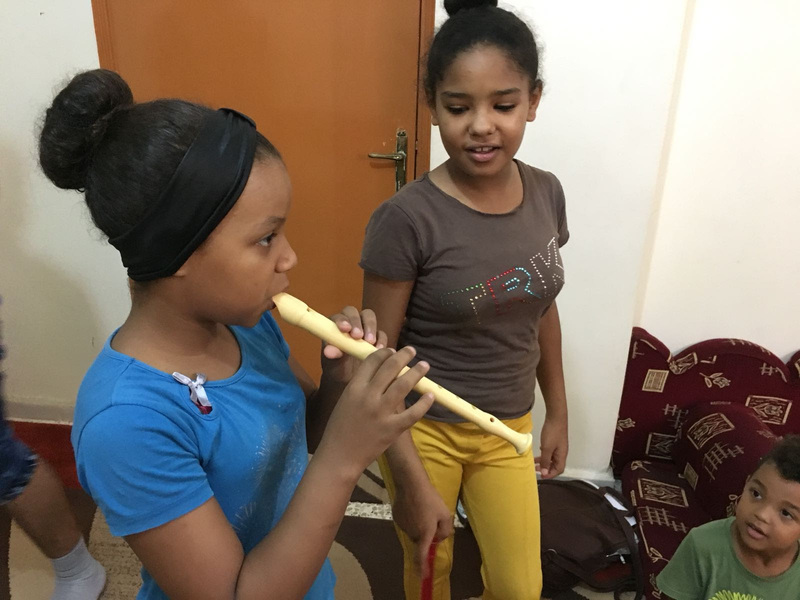 The project is divided between various classes in order to accommodate multiple skill levels and musical interests. 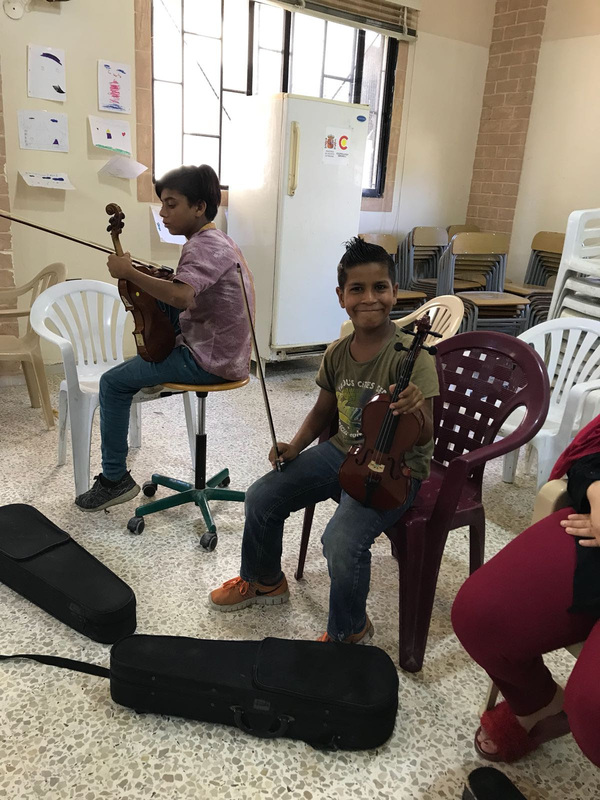 This year our volunteers are teaching the following classes: beginner strings, intermediate strings, beginner chorus and percussion, and beginner recorder. Beginner recorder students are learning simple songs such as Hot Cross Buns, while beginner strings students have been honing in on rhythms. Intermediate strings are working on more complex arrangements, focusing on Fairuz’s “Nassam Alayna el Hawa”. We are also happy to welcome this week volunteers from the organization, Expressive Arts Refuge! 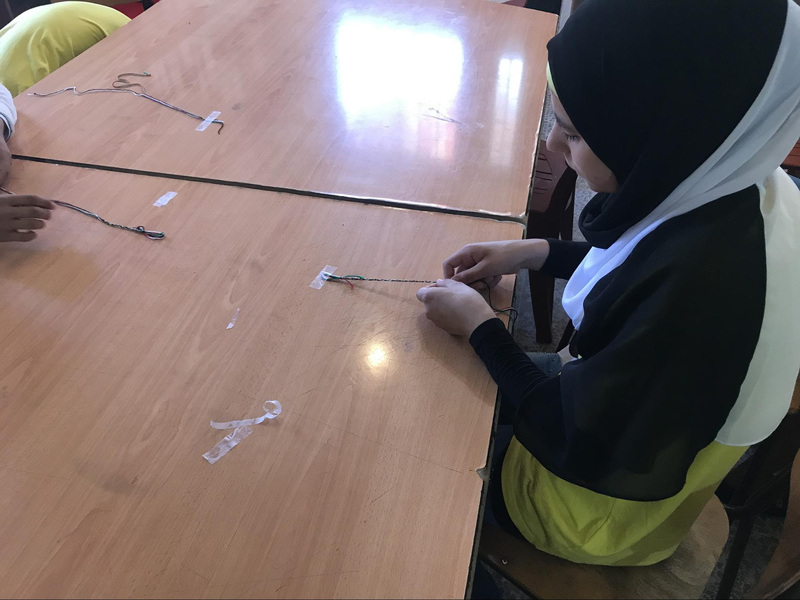 In Rashidieh and Bourj el Shamale camp, our team is continuing to work on the two community projects in collaboration with our partner organization, Beit Atfal As-Samoud. We are continuing to collect recipes and 1948 narratives for the Palestine cookbook (while enjoying delicious home cooked Palestinian food!). We are also making progress on our community mural project and have completed prepping the walls. We will start painting in the coming days! 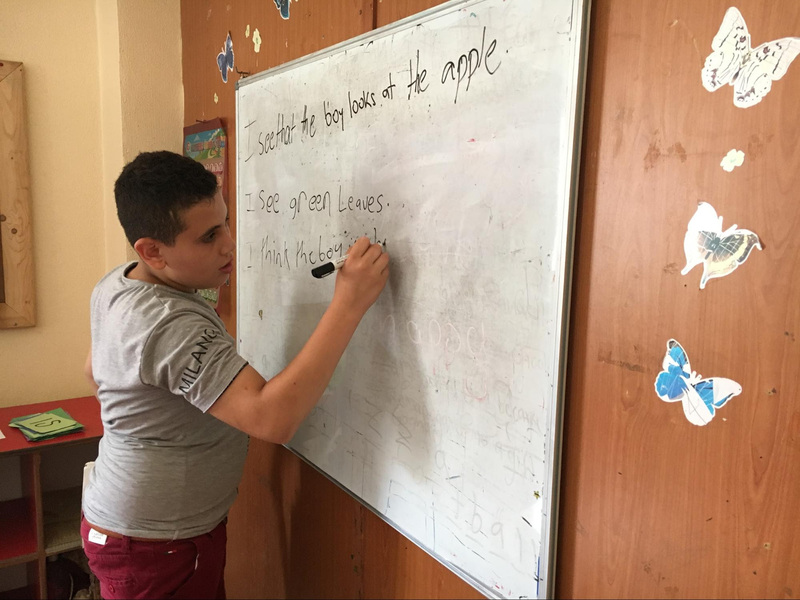 Our refugee awareness workshop focused on health services and living conditions in the camp available to Palestinians in Lebanon. 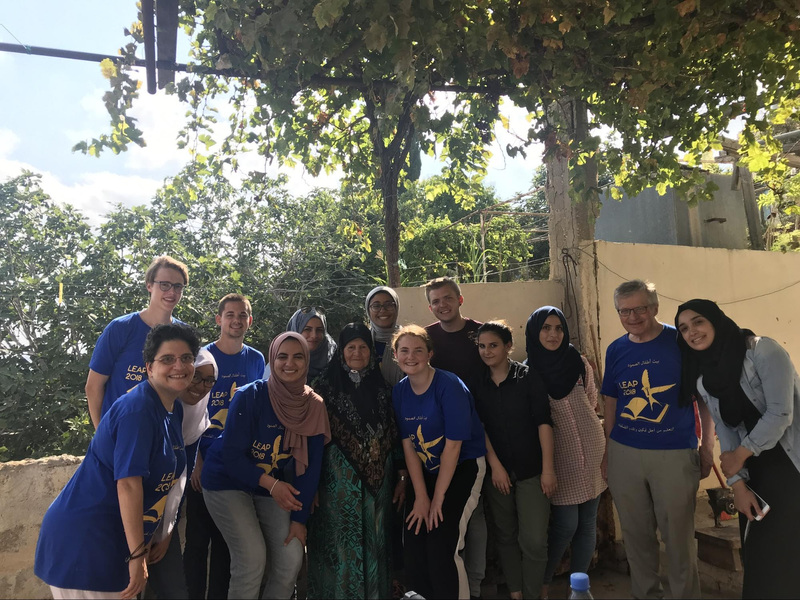 Our Rashidieh Team meeting with Um Fedaa al Dokhi as part of the Community Project!